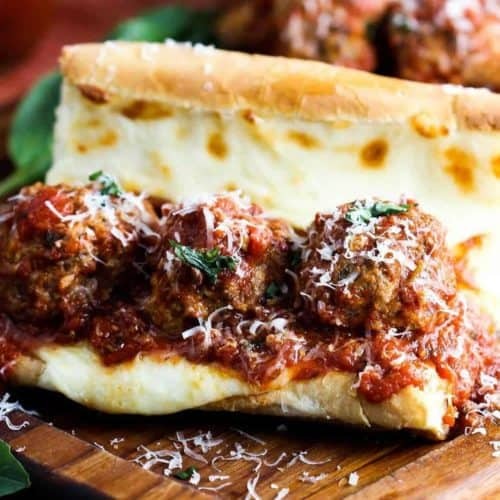 A Meatball Sub Sandwich made from scratch is about as delicious of a sandwich as you’ll ever find. 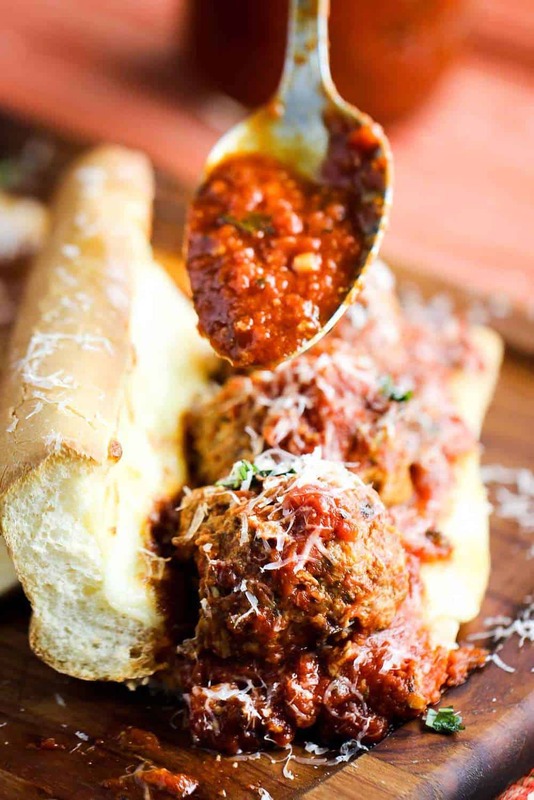 Of course a good meatball sub is only as good as its meatballs, and we’re pretty sure we’ve got about the best in town…right here! This sandwich is the ultimate in sandwich comfort food. As we mentioned, this sandwich is through-the-roof good because the meatballs are to die for. These can easily be made several days in advance. 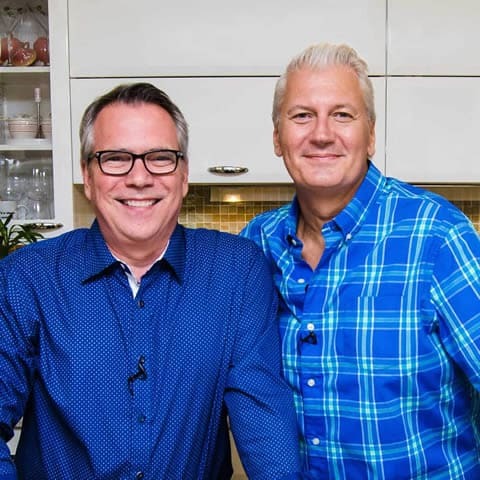 Watch us show you how to make the most amazing Italian Meatballs! Another key to this sandwich is the homemade marinara. 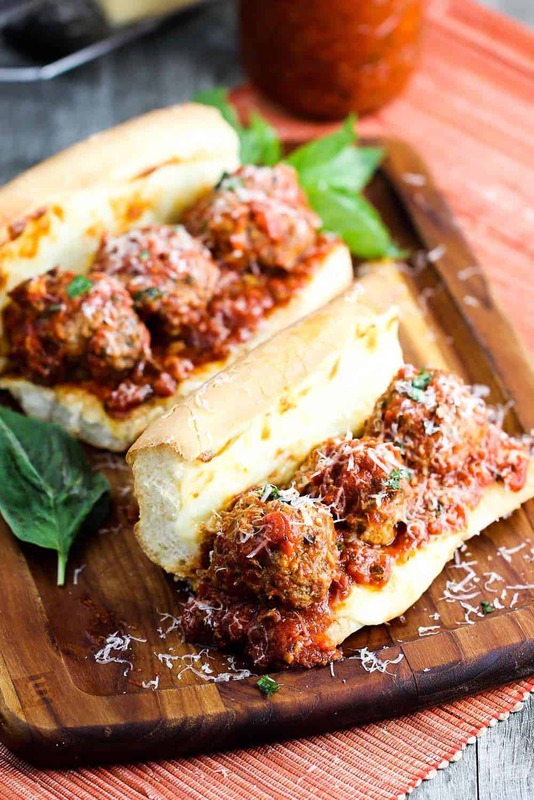 It’s also key to making the Italian meatballs, but adding a layer to the cheesy toasted bread is essential for the perfect meatball sub. I’ve said it before, but this homemade marinara is the real deal. These Italian meatballs just get better after they had time to deepen their flavors even longer while sitting in the fridge. 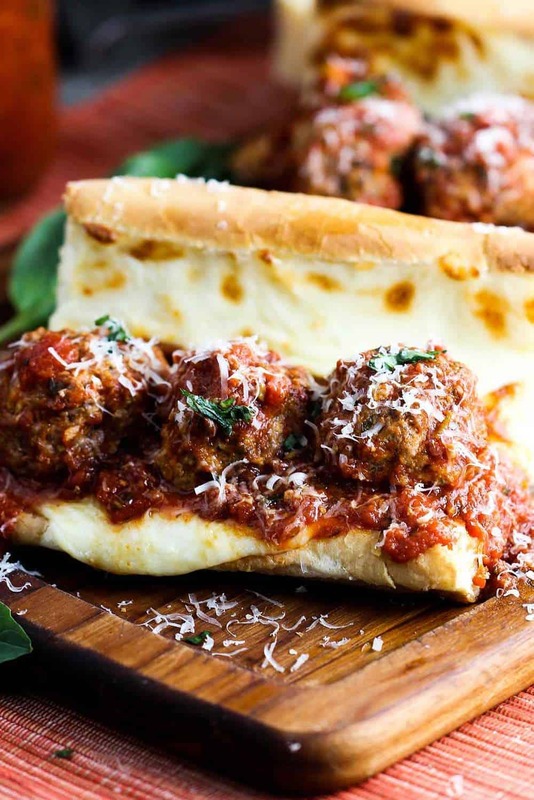 We love all kinds of sandwiches, but this meatball sub is at the top of our list. Then get a nice loaf of Italian bread (not too soft, and not too hard), cut off the ends, add a layer of mozzarella…and toast. 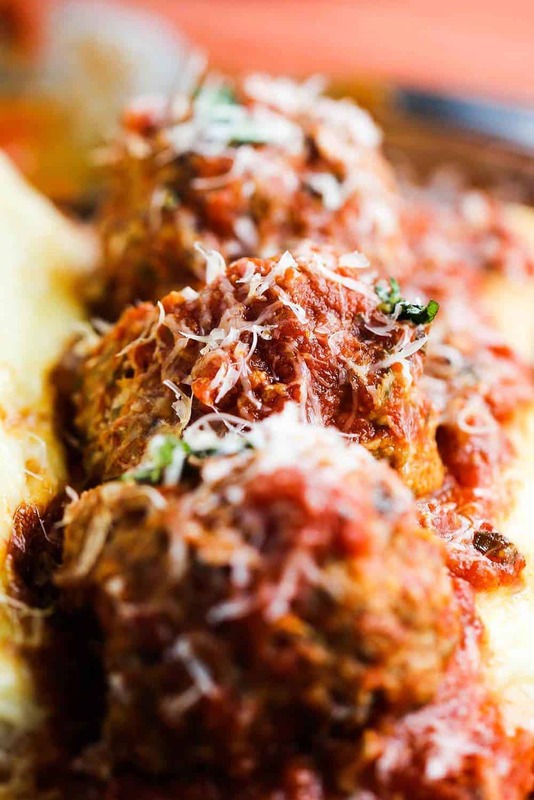 Layer the sauce, heated meatballs and layers of fresh parmesan and herbs, and you’re set. I don’t think I’ve ever met anyone who didn’t love a good meatball sub every now and then. 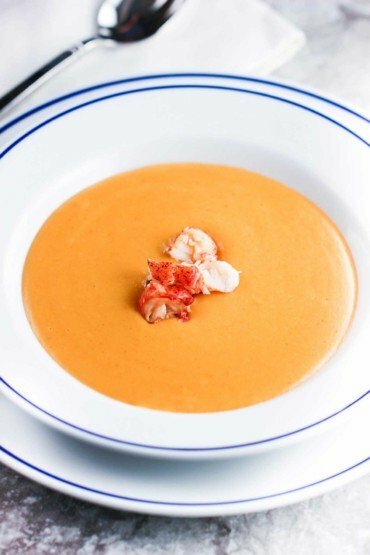 Pour some of the amazing fresh marina sauce over the top, and it’s just that…over the top. 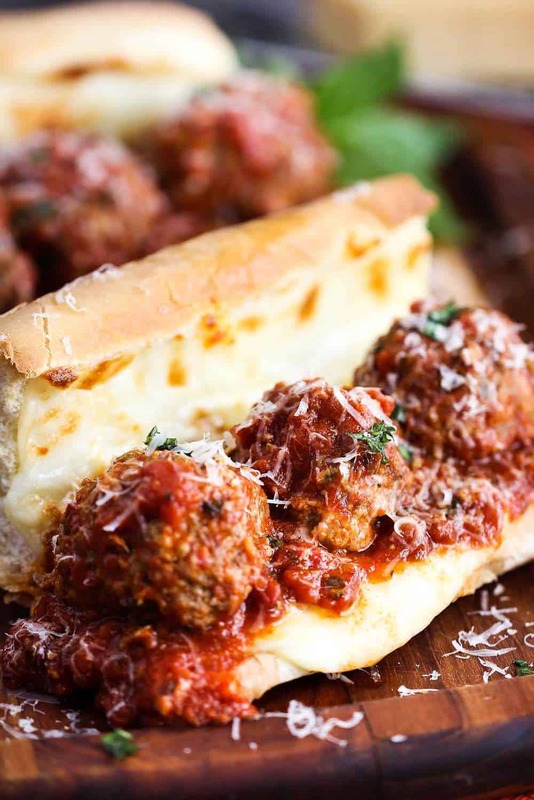 The time has come folks to make this incredible Meatball Sub. Go ahead and make a big ole batch of the marinara, then whip up the balls. Then assemble the best-tasting sandwich you and your love ones will ever encounter. Mmmmmm. This Meatball Sub Sandwich is off-the-charts good. Marinara and meatballs made from scratch. This is a sandwich that your loved ones will be talking about for years to come. It's that good. 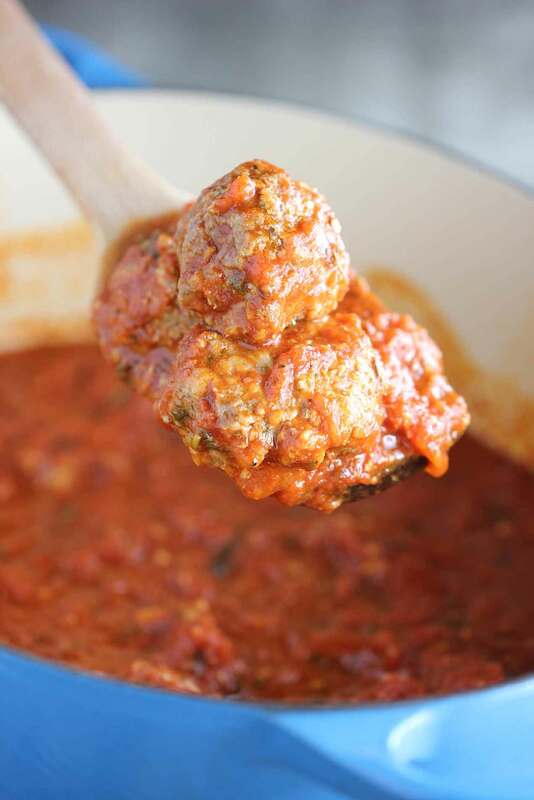 Heat the meatballs in the marinara. Simmer for about 15 minutes. Place the opened loaves of bread on a baking sheet and cover both sides of the bread with the sliced cheese. Remove from broiler. Add 1/4 to 1/2 cup of marinara on the bottom layer of each loaf of bread. Layer meatballs on top of the marina. Spoon a little more marinara over the meatballs. Top with shaved, or grated, fresh Parmesan and herbs. Serve at once!